PPP is passionate about our region, and about taking poetry out to as wide an audience as possible. 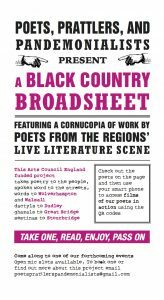 At the start of 2018 we secured funding from Arts Council England for our ‘Black Country Broadsheet’ project. 2000 copies of the broadsheet – featuring poems from ten of the Black Country’s best performance poets, and QR codes which linked to specially commissioned videos – were distributed across our region in places people might not expect poetry: in pubs, cafes, hairdressers, tattooists, and vape shops, among others. We also put on five free-to-enter events (in Dudley, Walsall, Great Bridge, Stourbridge, Wolverhampton) with open-mic spots for people who wished to share their own work. 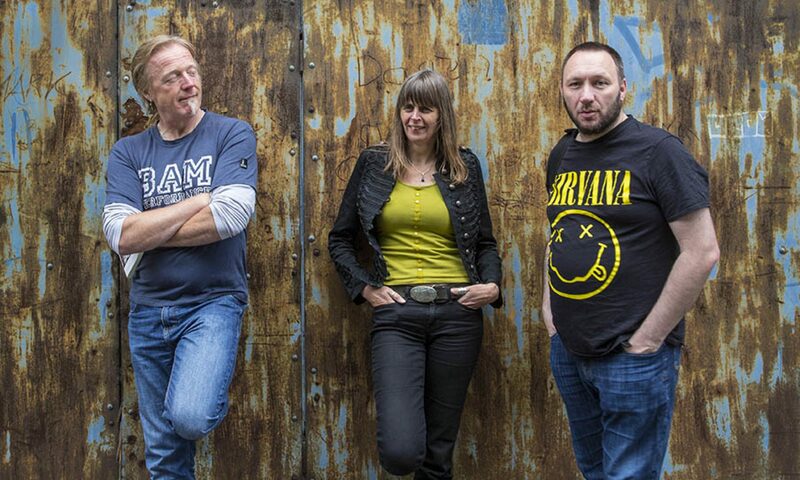 The project surpassed all our hopes for it, bringing in an audience who’d never been to poetry events before, unearthing new poets, and hitting every one of the targets we’d set. Thanks to everyone who took part, came along, or picked up a broadsheet when they were enjoying a coffee. We hope you continue to enjoy the wealth of poetry talent in our region!